NESSE is a network of scholars working on social aspects of education and training. It was set up in 2007 after a Call for Tenders by European Commission's Directorate General for Education and Culture. 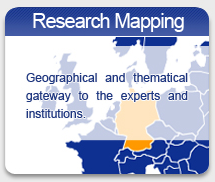 The Institut National de Recherche Pédagogique (INRP, France) is responsible for the coordination of the network. Professor Roger Dale (Bristol) is currently the network's scientific coordinator. NESSE's mission is to advise and support the European Commission in the analysis of educational policies and reforms , and to consider their implications at national, regional and European level. NESSE also contributes to the dissemination of knowledge on social aspects of education and training.